The Home Ministry is leaving it to the police to act on the organising of the "Better Beer Festival 2017," said Deputy Prime Minister Ahmad Zahid Hamidi. “That comes under police’s powers… I have instructed that it be stopped,” said Ahmad Zahid, who is also the home minister. 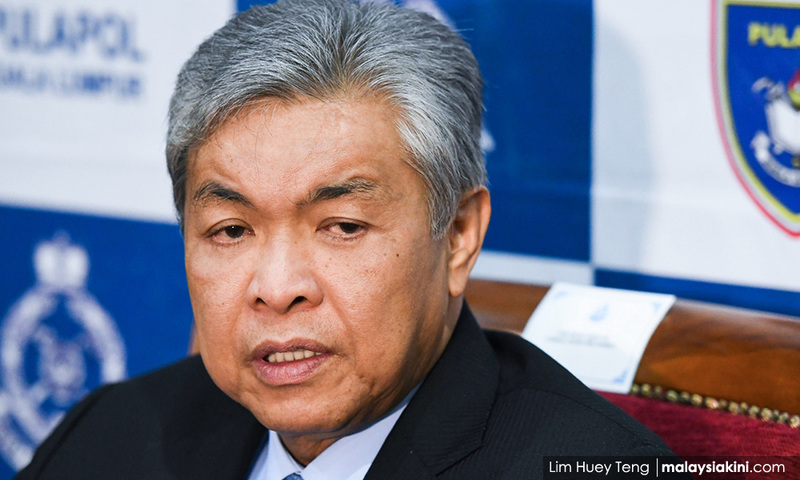 Ahmad Zahid, who is on a three-day working visit to China, told this to Malaysian journalists covering his trip in commenting on developments regarding the beer fest, which is expected to be held at the end of this month. Also present at the press conference were Malaysia’s ambassador to China, Zainuddin Yahya, and inspector-general of police, Mohamad Fuzi Harun. Meanwhile, Mohamad Fuzi said police would take stern action if the fest went ahead and would not compromise on the matter, because it involved public security. He said police had obtained intelligence that there were some quarters who wanted to stage attacks on those attending the fest. “We cannot compromise on this because the threat is real,” he said, adding that 26 NGOs had submitted memorandums protesting the organising of the beer fest to the Sultan of Selangor.